The annual Ofala festival of Igwe Robert Eze, (Okofia the VI) brother to billionaire businessman, Arthur Eze was held on December 24, 2016. It was more than a traditional festival as it was an assemblage of political juggernauts, men of timber and caliber. It pulled dignitaries across countrywide down to Ukpo, a town, bordered by Abba and Abagana towns in Dunukofia LGA of Anambra State. Major political parties in Nigeria did not miss in action, as each was represented by party stalwarts to show solidarity with the Eze family. Political pundits opine that such solidarity no doubt could earn a political party support from the Billionaire businessman, Prince Arthur Eze. Leading the APC delegation was the APC National Chairman Chief John Oyegun in company of Minister of Labour and Productivity Dr. Chris Ngige. Chief Victor Umeh led APGA stalwarts, while Godwin Ezeemo led a high profile delegation from PPA. Dr. Patrick Ifeanyi Uba of Capital Oil was among business moguls present, and the Emir of Lafia and other high traditional rulers across the country were also in attendance to celebrate with Ukpo people and the Eze family. As usual, the activities of the Ofala festival started on the eve of December 24 with a solemn mass and song rendition from various choirs across the country. These choirs remained at the palace, where they continued rendition of different genres of music, especially classical. The seamless blend of core Christian religion with traditional activities, stands out the Ukpo ofala festival from other ofalas. The annual ofala festival no doubt has turned Ukpo to a Tourist centre, at least once in a year. Many believe that the influx of people from across the world into the town, outweigh the number of yearly visits recorded by most tourist sites. The festival has become an opportunity for prominent and highly placed politicians, corporate bodies, religious and traditional leaders in the country to pay homage to the prestigious Eze family. There is always a rush to see who could not make it into the Palace. At the gate of the palace, huge crowd is seen struggling for space to have a glimpse of what is going on inside. The crowd at the entrance and around the gates of the palace could be perfectly compared to the type seen at stadium crowd during football events. Daily Sun investigation revealed that most of the guests do not attend the festival for their love of tradition, but for the strong favours they hope to earn from the Eze family, especially from the Billionaire business oil mogul, Arthur Eze. He hardly hides his benevolent spirit. He was seen smiling and receiving guests who had come to pay homage to his brother, the Igwe Robert Eze. Aside the annual Ofala festival, another factor that has painted Ukpo with a revered reputation is the Philanthropy of one of her illustrious sons, Billionaire Oil magnet, Prince Engr. Arthur Eze. He is not just known for his wealth, but his generosity, which is extended to anyone who comes in contact with him. 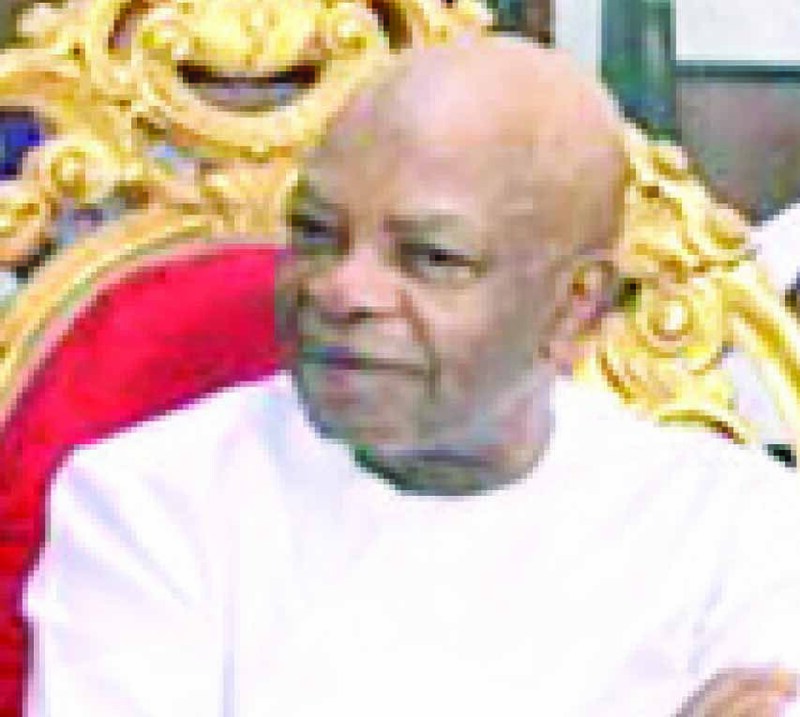 Prince Arthur Eze’s philanthropic gesture has always kept Ukpo town as busy as an apiary, as High profiled Politicians, Corporate bodies and individuals deluge his opulent home, which is always open to guests, and each leaves with smiles of having received varying aid from the Billionaire. These aids usually range from monetary aids, political supports to employment opportunities. It is believed that the Billionaire’s recommendation is probably the brightest green light one can find in the labour market. His home welcomes both the Kings and commoners, and he attends to everyone accordingly, regardless of political or social status. He equally believes it would be worthwhile attending to the commons before the Kings, since they are usually the ones with the most problems that need exigent aid. She, however, regretted that Ukpo town has not maximised this blessing God gave them in the form of Arthur Eze. She believes that a town that attracts such influx of persons from across the world should at least develop a tourist centre, as it could be a strong generator of Internally Generated Revenue in the state.